Asia’s demand for second-generation financial institutions and markets needs to be met in order for the region’s further development to be sustained. This book provides a compelling, fact-based assessment of current practices and regulations in Asia’s financial institutions and markets and carefully documents the exciting opportunities and challenges that lie ahead in the region’s financial systems. This book differs in design from typical treatments of financial institutions and markets because its focus is on Asia rather than using the US model (in terms of market configurations or products) as a benchmark, and its takes a contemporary and forward-looking view of financial markets. 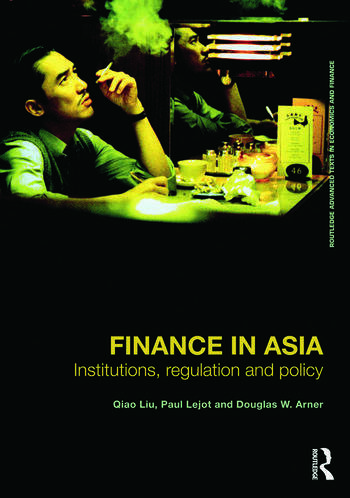 Examples of practice from Asia are used to illustrate major accepted themes in finance and financial regulation. To the extent that Asia’s main economies share characteristics that are distinct, for example, in the relationship between government and the banking sector, or in aspects of corporate governance, the book will discuss the consequences for market operation and intermediation. The book’s carefully structured facts and rigorously argued analysis carry important implications both for students in business and law and for professionals new to financial markets in Asia. It will change the way that Asian financial markets and institutions is taught in universities as well as provide a valuable resource for professionals working in finance in Asia. Qiao Liu is Professor of Finance and Economics in the Guanghua School of Management at Peking University. Paul Lejot is Visiting Fellow at the Asian Institute of International Financial Law at the University of Hong Kong. Douglas W. Arner is Professor and Head of the Department of Law in the Faculty of Law of the University of Hong Kong.